Everybody knows that white t-shirt is a fashion staple, a must have item for everyone. 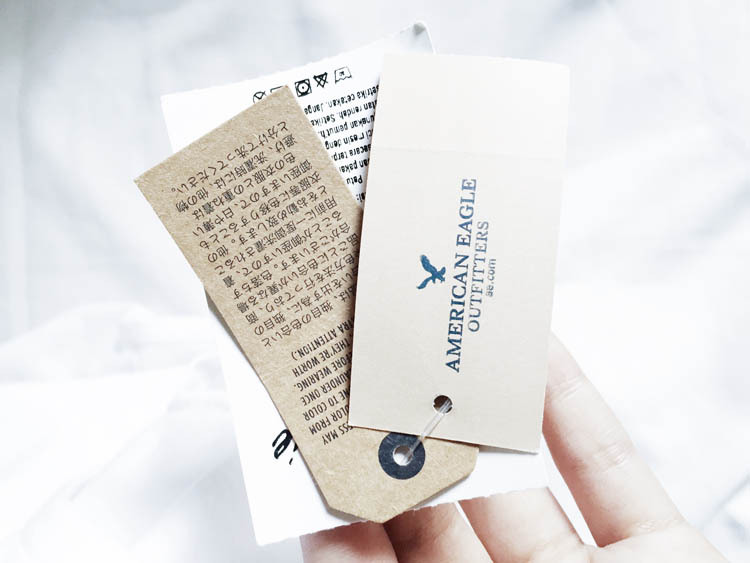 Last week, I got the cutest white t-shirt ever at American Eagle Outfitters grand launching store opening. After hours looking around at the store finally I decided to bring the cutest white t-shirt ever to home for free. 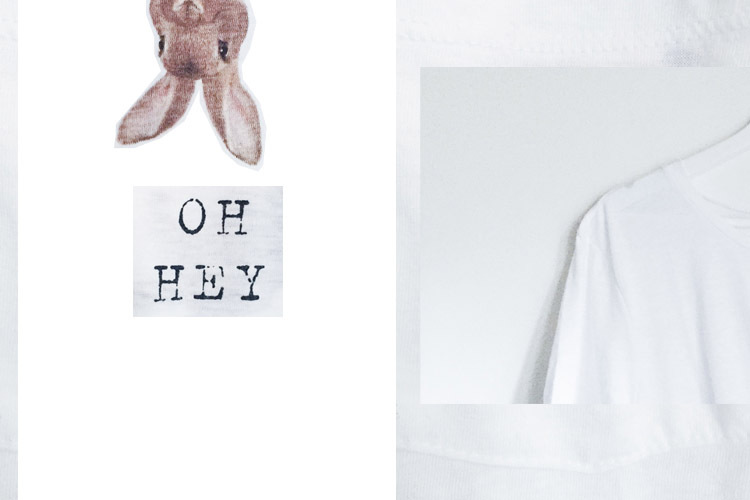 (Read here for the reason I got this cute white t-shirt for free). 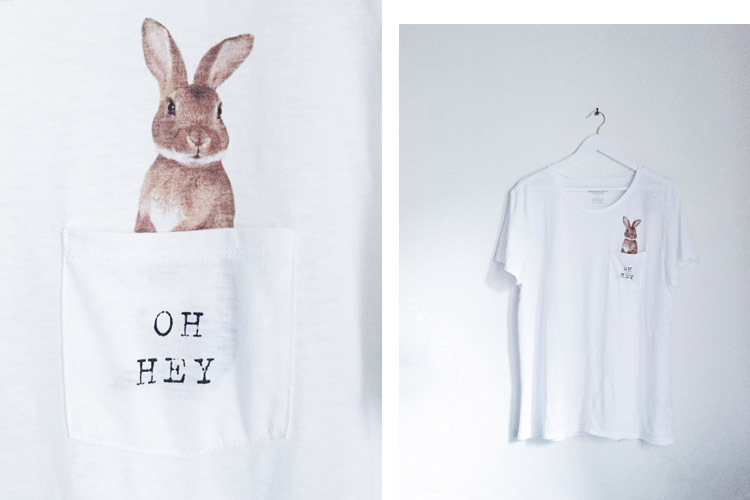 This white t-shirt come with a little pocket at front and cute vintage rabbit print peeking from inside of the pocket saying "oh hey". Beside that this tee comes with a very good material. 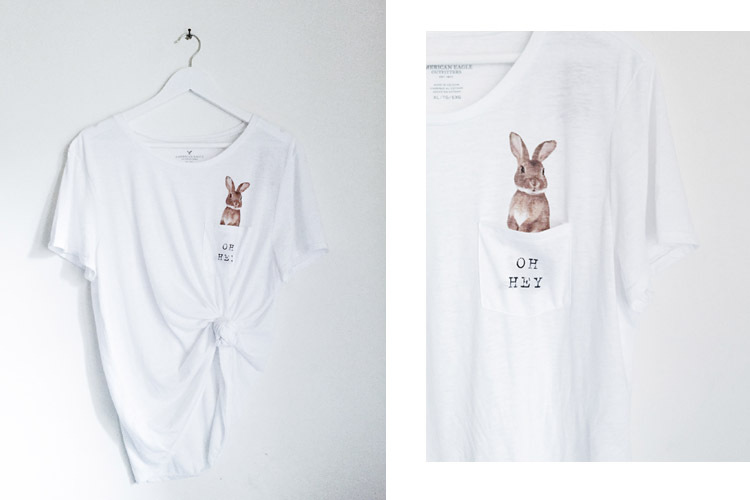 I really can't wait to wear this rabbit white tee to go outside because it must be very comfortable to wear and it got cute details as well.